Thank You for the responses to Thursday's Cupcake themed giveaway it was so interesting to hear about the new crafts you'd like to try. All week I've been giving away things related to my first year of blogging or materials that I think are essentials for crafting. 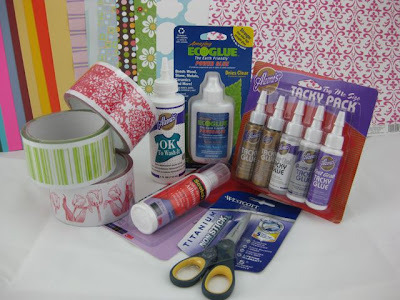 Adhesives, paper and quality scissors are basic necessities in my craft studio. 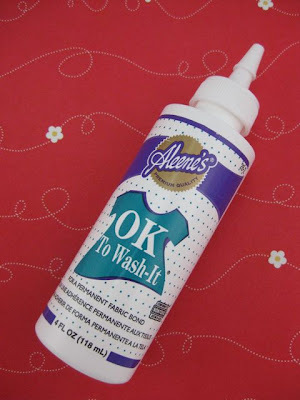 I'm always searching for the perfect glue for a particular project. 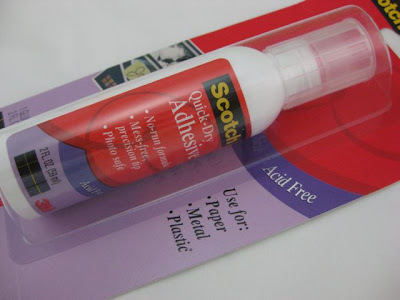 Whether it's a good general glue, something acid free for scrapbooks and photos or glue for felts and fabrics. I also love to have tiny sharp scissors for paper cutting... and well the paper is a necessary because I love to work with paper. Today's giveaway is for a pack full of these three crafty essentials. When I decided to give this package away the Rock, Paper, Scissors game immediately jumped into my head. 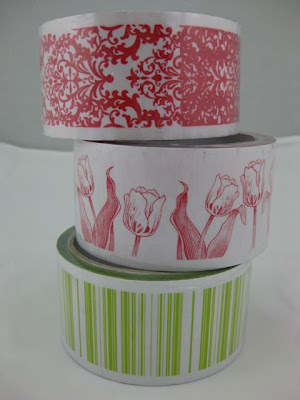 And there's some printed pattern tape the just rocks! 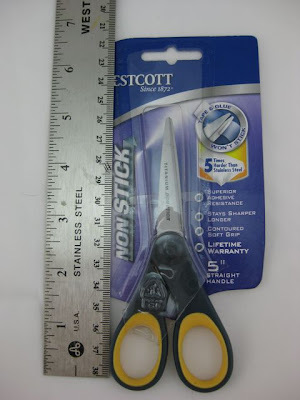 A small pair of scissors, perfect for cutting details since they are only about 5 inches long. 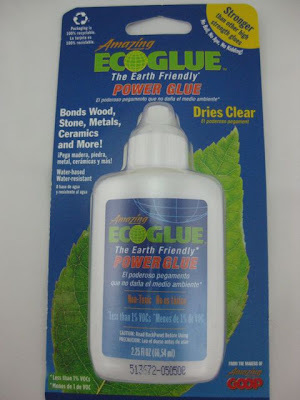 And they are adhesive resistant so they can cut through tape and glue without getting crudded up (in the crafty version of rock, paper, scissors I think that means scissors win instead of being crushed by rock). Leave a comment telling me what your favorite choice is when playing rock, paper, scissors and why. If you're a follower or become a follower you get an extra entry! This giveaway ends on Friday January 22nd at 11:59 p.m. Pacific Time and is open to US residents (sorry international readers- I think glue is probably hard to get through customs). I'll pick a winner using a random number generator and announce it in my post on Saturday. And here's your hint for Saturday's giveaway...well it's not really a hint so much as I'm just going to tell you what it is because I'm soooo excited about it. 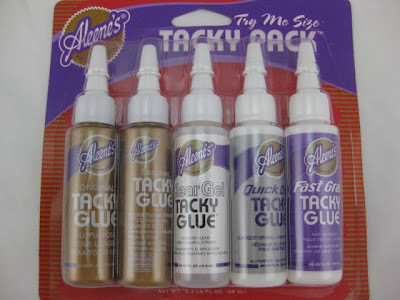 Saturday's Giveaway is going to be the 24 color pack of Martha Stewart Glitter! Yipee! Update: SLK you won yesterday's Cupkins theme giveaway. Congratulations! I am TERRIBLE at r/p/s, I over think it! I guess, I typically go rock though. Oh, and WOWZA you're giveaways keeping getting better! I choose Rock every time-- cause I am a rock...Mellisa Rock lol but when I am playing rock paper scissors with my kids I always choose paper!! They always choose rock too! I am a follower and will blog about this in the morning! Thanks again for all the great chances to win! 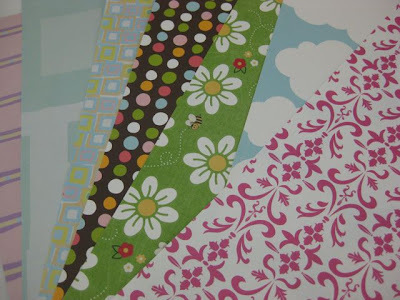 I always choose paper - for no particular reason! :) Happy Friday, friend! I never really played this game that much but I will choose paper because it covers rock so prettily. I usually chose rock when playing because I liked being able to break the scissors. I am typically a paper girl in that game because for some reason my husband always picks rock and then I end up winning! HA! YAY! Oooh, I almost always choose rock first! Bash, bash, bash! Rock wins! 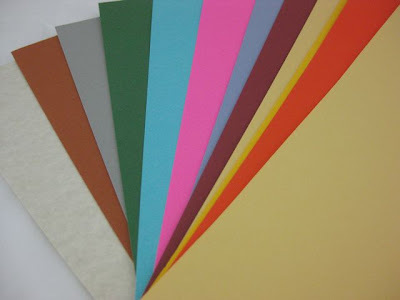 I choose paper, because most other folks seem to choose rock. I always go with rock! It seems so strong and mighty! Love this giveaway! My daughter and I play rsp with cards instead of hands. It's a good stepping stone, because she doesn't have to choose and coordinate her hand motions. I usually choose rock! It's the first one I blurt out, and it does win often :) Another GREAT giveaway...wow!! I like scissors because you can make something with them,,,we used to play with all the time when we were kids on long car rides. I would always pick paper or scissors. Cindy- I have no idea what the circle game is- do tell. And congratulations Mellisa Rock, You won this one! It's kind of funny that the random number generator picked you since this was rock, paper, scissors and you are a Rock!